Echo Theatre Co. - NYPR - "Daughter of God" — Abigail Marks - Actor. I've spent this week directing a workshop for The Echo Theatre Company's NYPR Playwright Program. 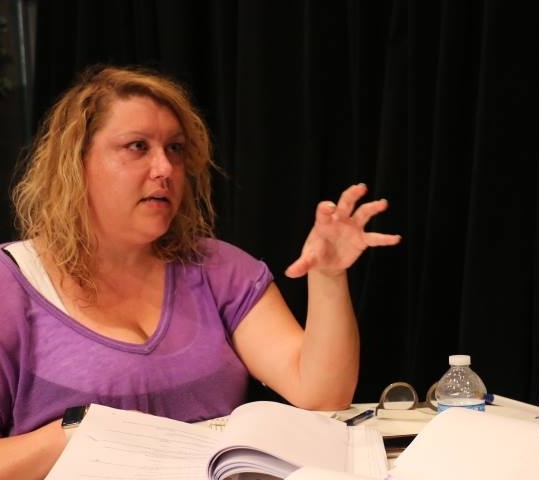 Six young playwrights from all over America were selected to have professional actors and directors push their plays forward over a week in Los Angeles. I've been working with Zoe Jovanovich, on her fantastic play, "Daughter of God." Zoe has created her utopic version of Heaven. It's a world things aren't perfect, but where Jesus has a younger sister, there are some fabulous Archangels and a lone Gospel, who want to make the world a more accepting and loving place to live. It's a play of hope (and feminism and humor and gravitas) for our current struggles to be free from fear of the "other" as well as judgement of ourselves. I'm proud to be a small part of Zoe's journey with this play, as well as this workshop process at The Echo. Public Reading: Sunday, June 24th @ 1pm at The Echo Theatre Company.